The Taliban has claimed responsibility for a fatal bomb blast at the NATO air base at Bagram, north of the Afghan capital Kabul. Authorities say at four people have been killed and more than a dozen injured. The bomber detonated a device close to a sports facility where officers and soldiers were exercising . 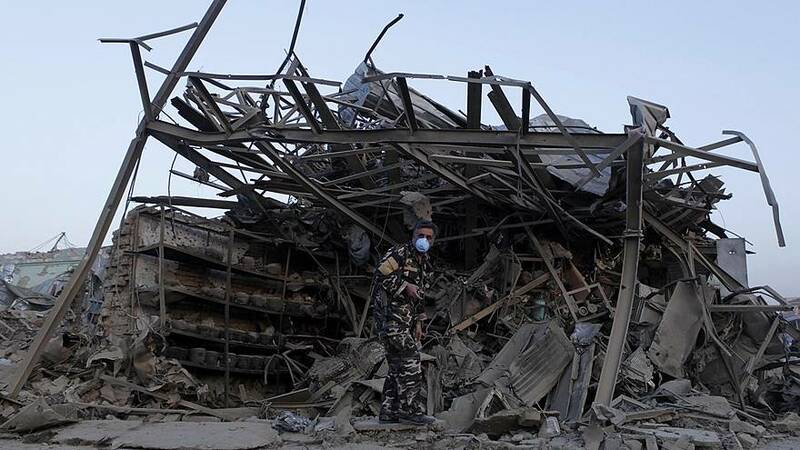 Authorities say it is unclear if a suicide bomber carried out the attack..
An investigation is underway as to how the base home to about 14,000 came under attack when security is tight.